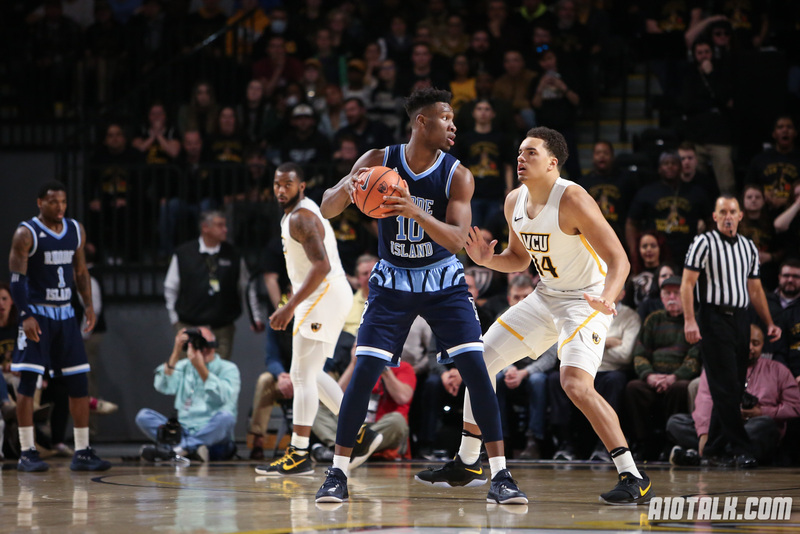 It is time to get straight down to business and address some of the major problems that have been crippling the Rhode Island Rams this season. What Happened to Fatts Russell!? After 22 games that have been played by the Rams thus far in the regular season, this is the most commonly asked question that I have received on a nightly basis. At this point, the Philadelphia native is shooting a putrid 31.8% from the field, 18.9% from three-point range, and he averages 2.6 turnovers per game. While he has had occasional highs as a facilitator of the offense, he has been undeniably the most disappointing and highly criticized player on this season’s team. His performance throughout the season has single-handedly caused the fan base’s outcry to give Omar Silverio increased playing time. As much as every Rhode Island MBB fan once supported and loved Russell, much of the criticism is warranted. For further context, he has the worst offensive rating (according to KenPom) out of all of the Rhode Island players that play major minutes. Until he starts making decisions with the basketball, particularly with his shot selection, the potential of the Rams for this season is limited. At what point does a basketball team (of any age and experience level) finally decide that taking perimeter jump shots is not viable? Hindsight may be 20-20 but to start, the Rams are one of the worst three-point shooting teams IN THE COUNTRY (26.3% as a team). In comparison, the average team in Division 1 college basketball shoots 34.2% from three. Furthermore, they rank as the worst three-point shooting team in the conference (27.3% during conference play). Over the course of getting blown out by the Davidson Wildcats on February 6, 2019, David Cox’s team took 24 three pointers and they made three. No, that is not a typo. They only made 12.5% of the three pointers that they attempted in Belk Arena. Even in their big win over Saint Louis, they were four of 18 from beyond the arc (good for 22.2%). The few players that anyone seems okay with taking any threes on this team are Jeff Dowtin, Omar Silverio, and Tyrese Martin. It would be more bearable if the University of Rhode Island men’s basketball team missed the most optimal shot that they could take on each offensive possession but unfortunately, that is rarely the case. More times than not, the Rams make their own lives more difficult by taking ill-advised and contested shots or deep three pointers. Running the shot clock down on offensive possessions where there is no one cutting to the basket also does not help matters. It has been clear throughout conference play that this current team has their most success attacking the paint on offense so guess what they should be doing? There may be an entire new coaching staff and several new players around Kingston, RI this season but this problem seems to never go away for this program. Rhode Island MBB is ranked 12th out of the 14 Atlantic 10 teams in free throw shooting percentage during conference play. Sitting at a mere 66.9% at the charity stripe, the Rams are not making their opponents pay for fouling them. In their two-point loss to Bucknell, they shot 12-23 (52.2%) at the free throw line. Moreover, while choking a 19-point halftime lead away at Duquesne and ultimately losing by three points, they shot 9-19 (47.4%) from the same line. People can blame whoever they want to but until Rhode Island MBB collectively takes it upon themselves to improve and adjust accordingly, this season will not be turned in the right direction. If the Rams can get their offense to be half as good as their defense has typically been, they can still make noise to end conference play. Their next four games (including matchups versus Dayton, at VCU, and versus Davidson) will truly show how much fight and pride they have left.